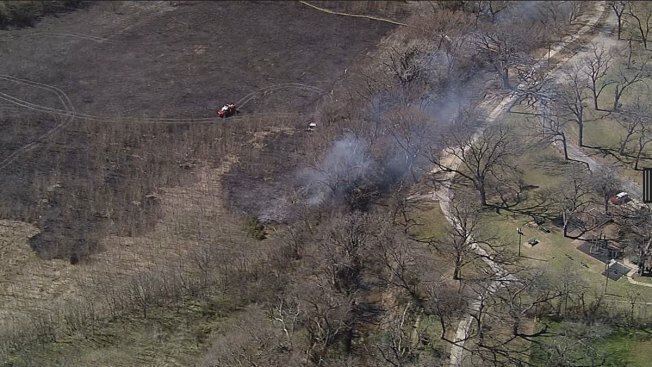 The Waxahachie Fire Department battled a large grass fire Thursday afternoon, but got the flames under control quickly. The Waxahachie Daily Light tweeted that the fire was behind the Bent Tree Town Homes on the I-35 frontage road and that the wind was blowing the fire west toward the apartments. Waxahachie dispatchers told NBC 5 while the fire was large at one point, firefighters had it under control as of 3 p.m. and no structures were involved. Chopper 5 saw firefighters putting out hot spots. As this story is developing, elements may change.